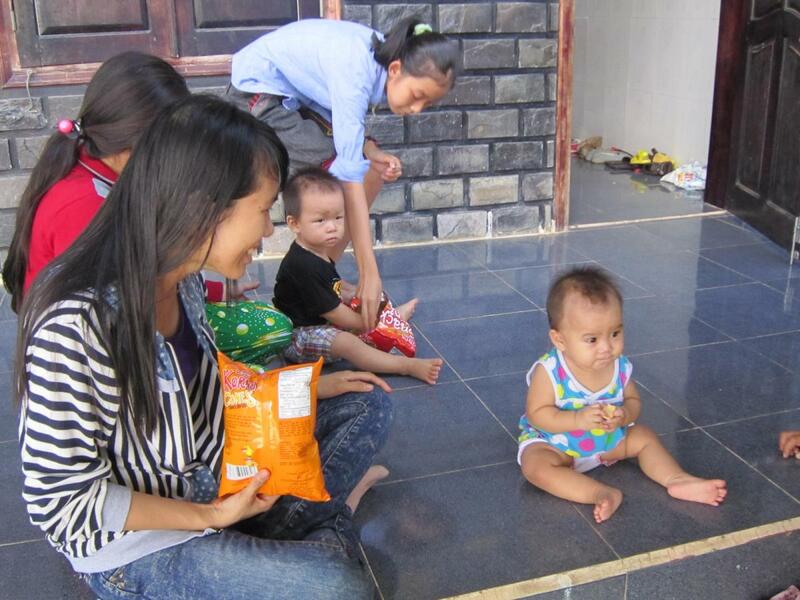 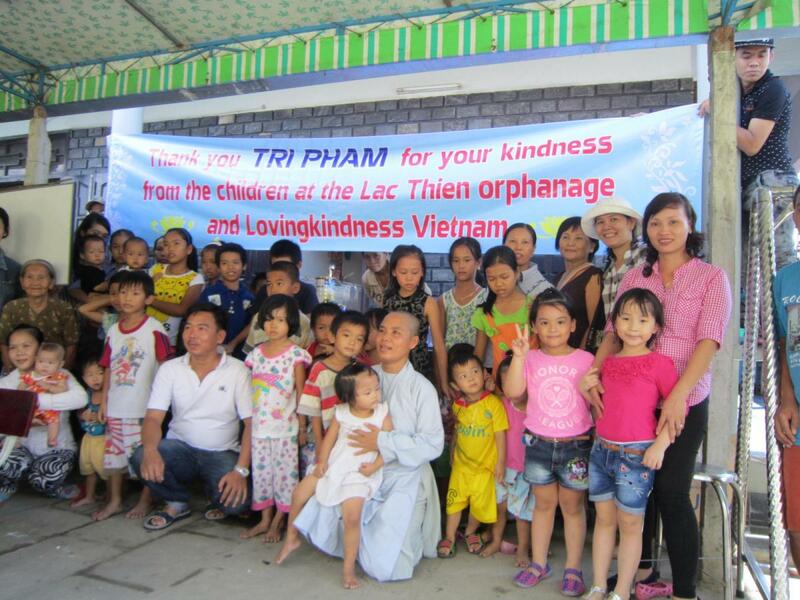 On September 28, 2014 we brought gifts to the Lac Thien Orphanage. 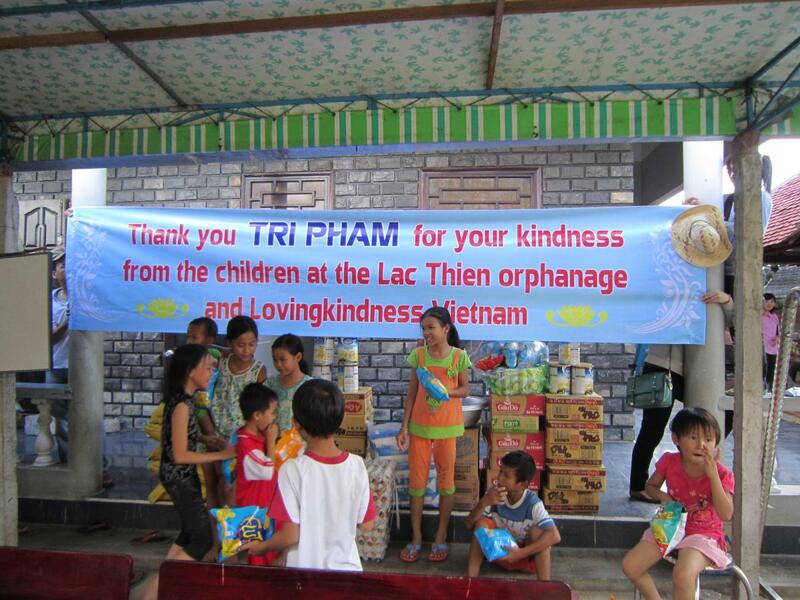 We were recently contacted by Tri Pham of the USA who wished to help the needy children of Vietnam. 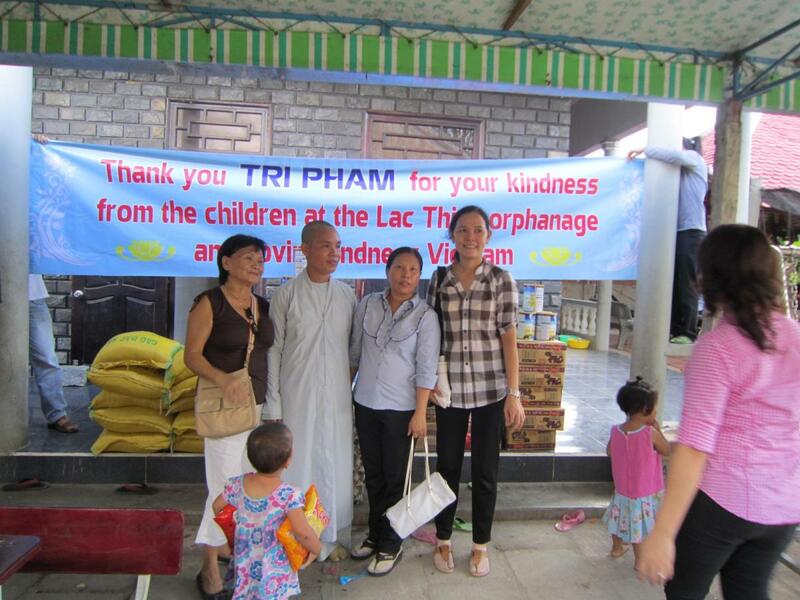 Tri made a generous donation and we contacted the nuns of Lac Thien. 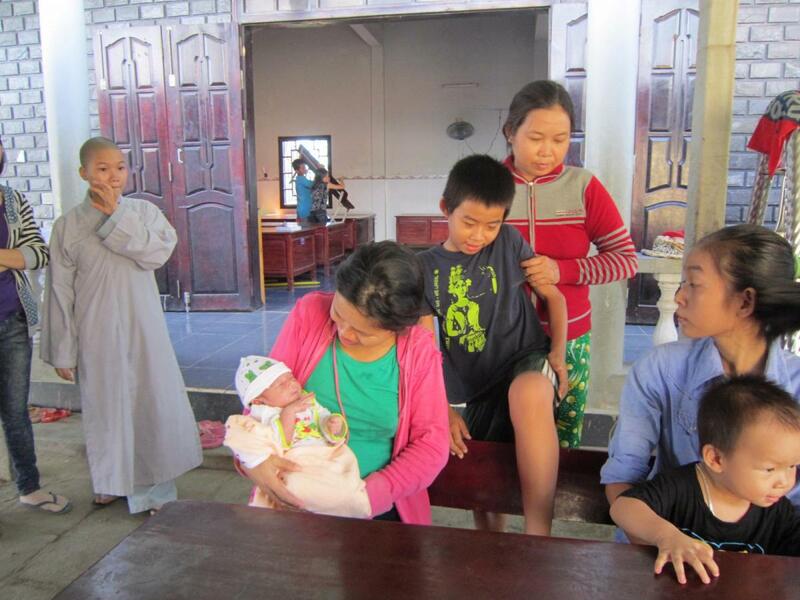 The Lac Thien Orphanage is located in a rural community north of Nha Trang, and is a loving home for orphans in the area. 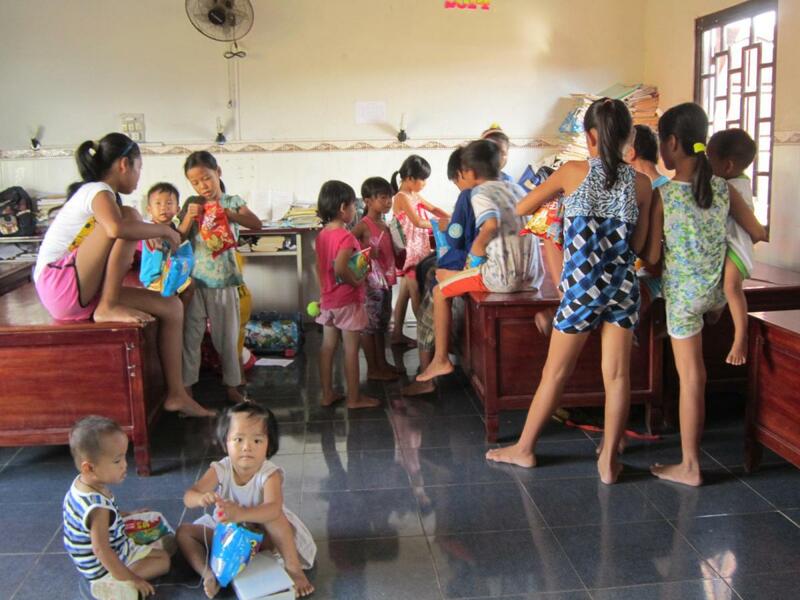 They survive entirely through donations, and were excited when our team contacted them about a visit. 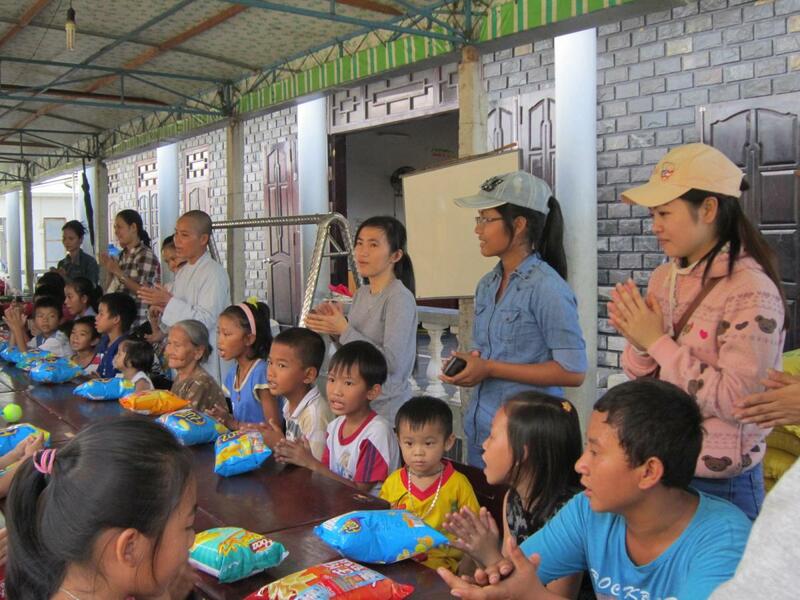 Our lead coordinator, Ngoc, bought essential foodstuff at the nuns request, and along with our volunteers Loan and Nhan and several of Ngoc’s students, loaded up a van and drove out to the orphanage on a beautiful Sunday morning. 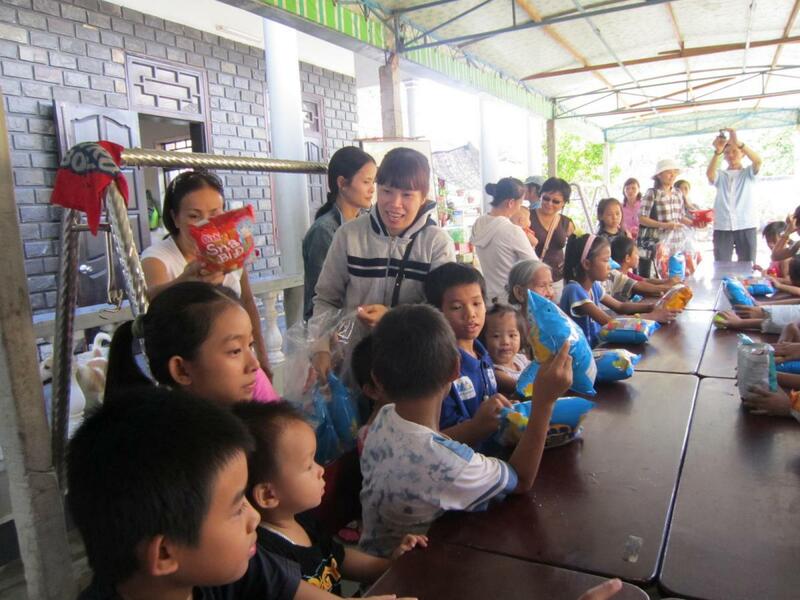 The donations included bags of rice, boxes of instant noodles, baby formula, diapers, cooking oil, condensed milk, eggs, several washing pans, and soap. 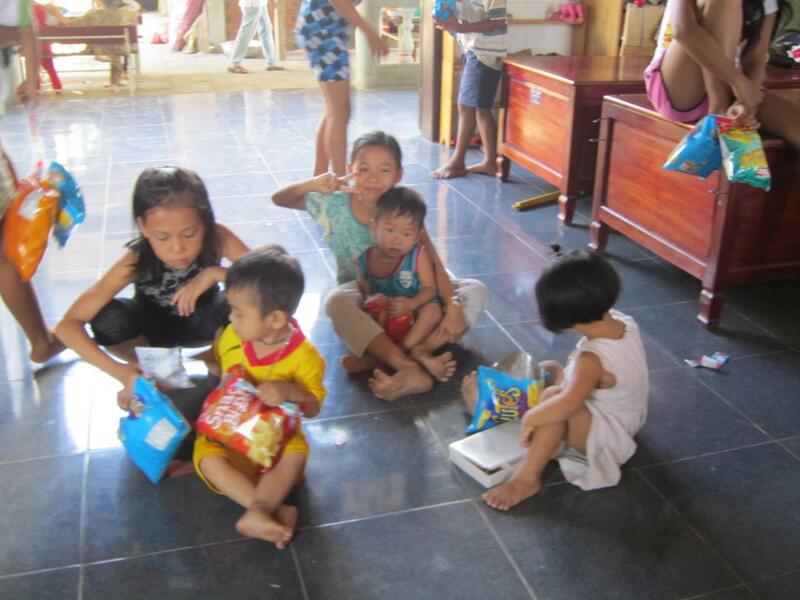 As with all of our visits there were also plenty of snacks for the children. 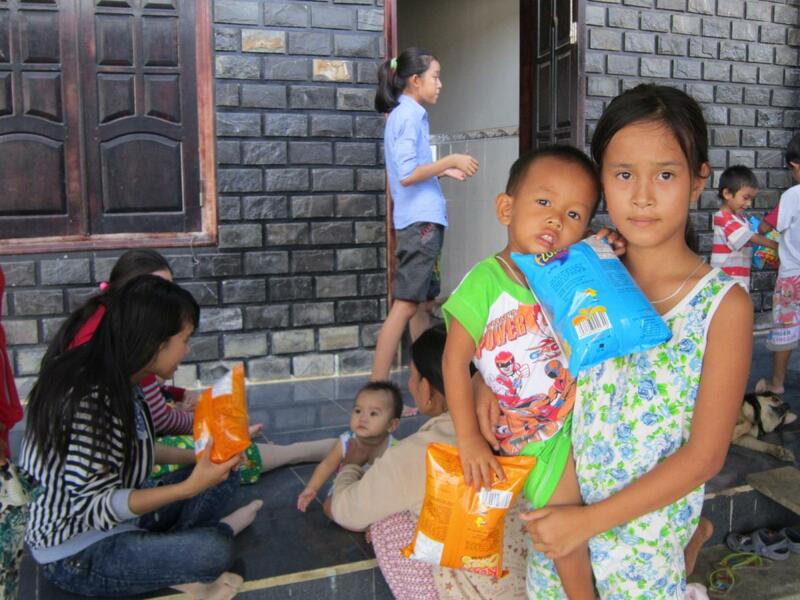 Everyone was excited during the visit, and as the children scampered about with their snacks, our team took a tour of the orphanage and the living quarters. 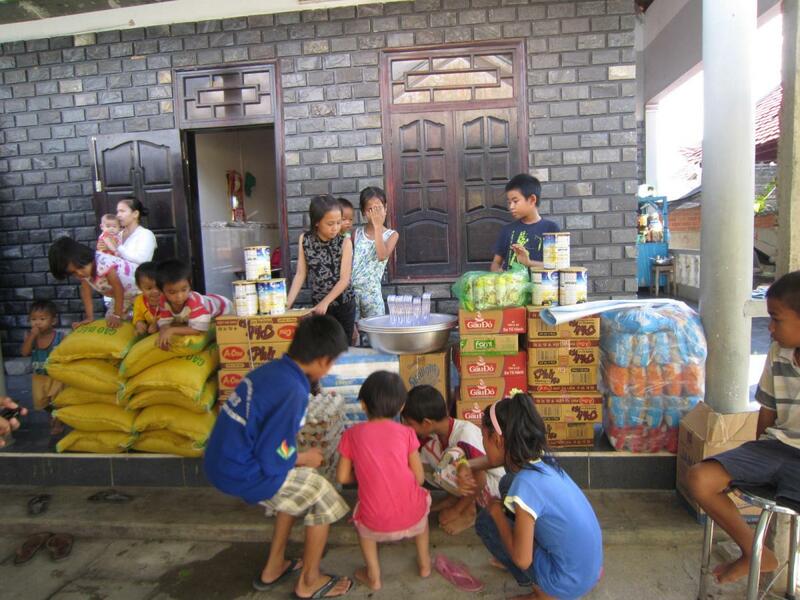 This donation made an immediate impact in the lives of the orphans. 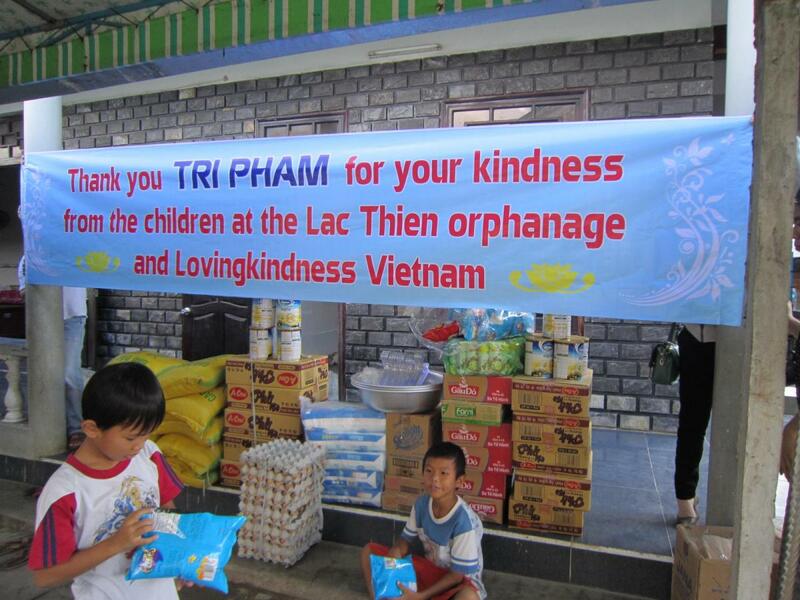 Thank you, Tri!